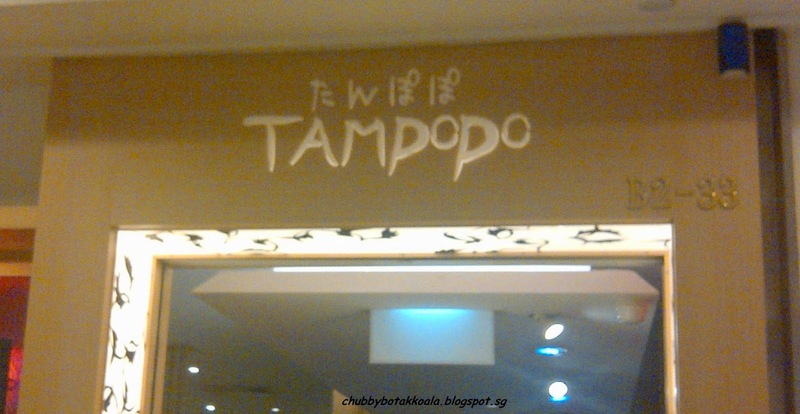 On one of the evening, we decided to stop by Tampopo at Ngee Ann City for a quick grub before we went for some shopping. 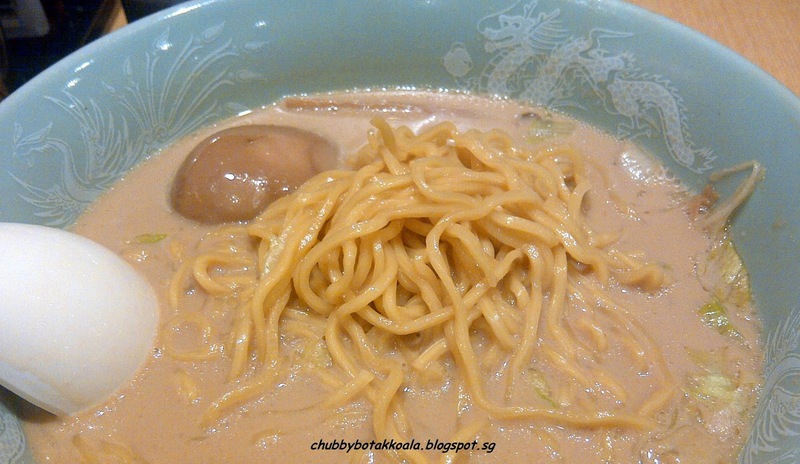 At first, I set my mind for pork bone ramen, at the end I end up with Kura Buta Feast. Black Pig or Kura Buta Pork are known for their tender juicy meat that melts in your mouth. The meat from this pig can be consider the best of the best. For starter, we ordered BP Gyoza (BP is short for Black Pig / Kura Buta) - $6.80 and Ceasar Salad - $8.80. 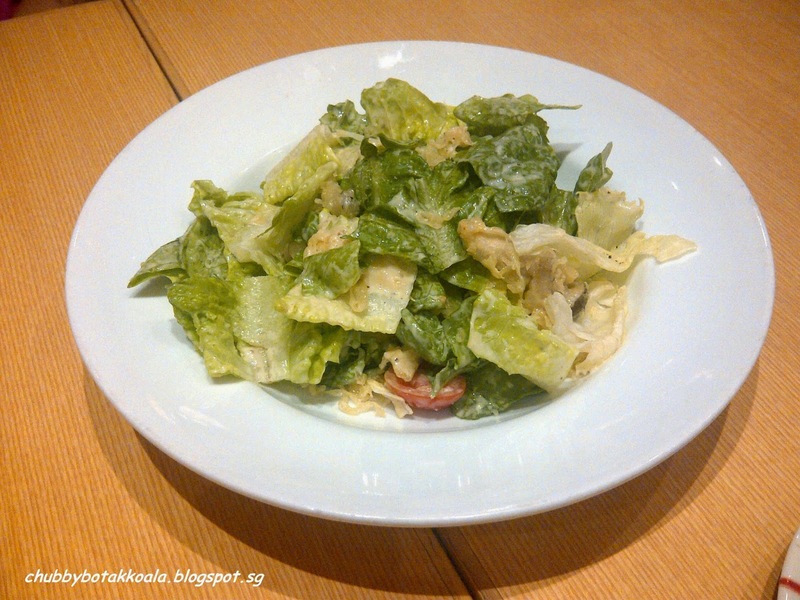 The Ceasar salad consist or Romaine Lettuce, cherry tomatoes and salad dressing. It is simple, fresh and refreshing. 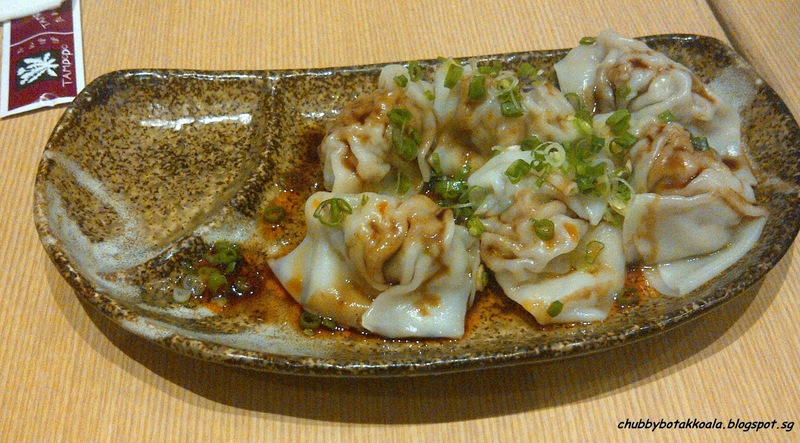 The BP Gyoza tasted clean, tender and melts in your mouth. The chilli oil on top actually accentuate the flavour of the gyoza. For Main, we had BP Ramen - $15.30 and BP Sp Tokusen Loin - $31.80. 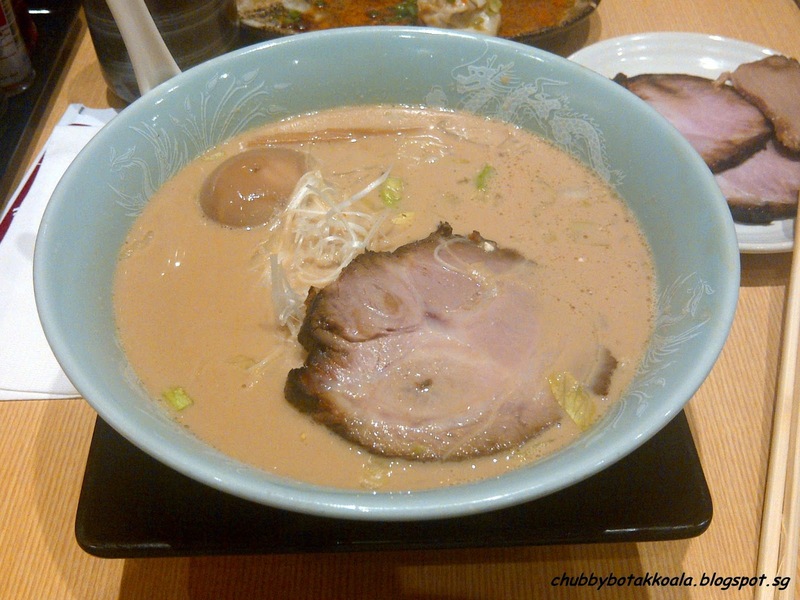 The broth of the ramen is milky in colour, due to the long process of boiling the pork bones. It is thick, robust and full of flavour. The ramen is springy and crunchy, al dente in ramen way. The egg was boiled to perfection, where the yolk still ozzing and the char siew just melts in your mouth. Yummyyyy!! A perfect bowl of Ramen!! While I thought the ramen made my day, I was surprised when I tried the Tokusen Loin. Although it looks thick, I bite through it without any resistance. I don't think melt is the right term, but the meat just disintegrate when it touch your tongue. I might be exaggerating, however it is so much tender and juicy compare to char siew. Supper yummmyyy!! Two thumbs up!! As we came in before the dinner rush, we were able to get a seat comfortably. It take a while before the waiter approach us to take our order and it is also a bit difficult to get their attention when we need something. 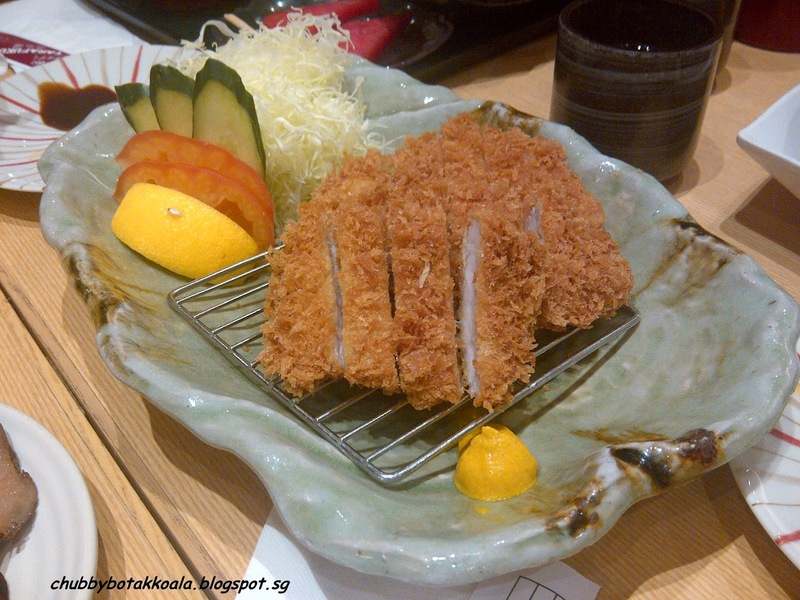 Overall, Tampopo is the place to go for quality ramen and yummy Kura Buta pork. Every time I ate ramen I will always use Tampopo as the benchmark for quality. Cheers ! !